The first five minutes of The Expendables tell you everything you need to know about the movie: A group of mercenaries bust up a kidnapping aboard an ocean vessel not by killing the pirates, but by destroying them. The mercenaries’ firepower is just too robust for the pirates’ bodies, and the kidnappers explode in blood and guts. The audience erupts in cheers and applause, and we’re off and running. (Actually, at the screening I was at, people were cheering from the second Sylvester Stallone’s name first appeared on screen.) Awwwww yeah! Yes, The Expendables is that kind of movie. It is to action flicks what the Oceans series was to heist films: That is to say, it boasts an all-star cast (Stallone, Jet Li, Jason Statham, Mickey Rourke, Terry Crewes, Steve Austin, Dolph Lundgren, etc.) and it’s great fun. 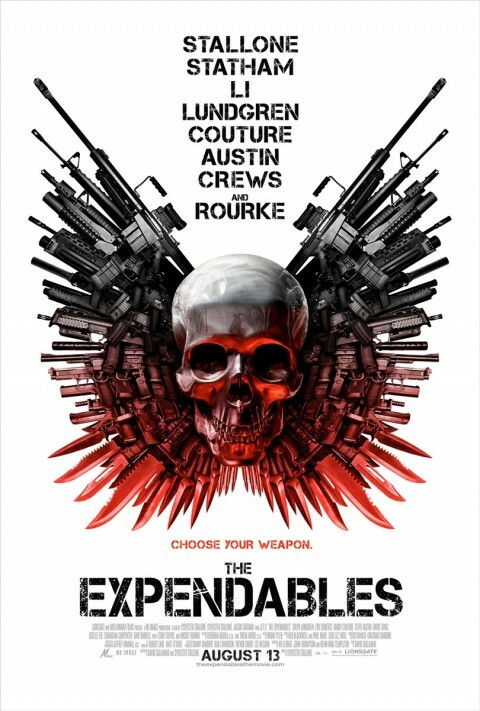 But whereas the Oceans films were big on style, The Expendables is big on, well, size. There’s a ton of explosions, a ton of action, a ton of muscle and testosterone. The plot’s nothing to get excited about — really, it’s just an excuse to get these guys all together blowin’ sh!t up — and neither is the screenplay. But if you go to the theater simply expecting a good time, then you won’t be disappointed. Nearly every member of the cast gets his image tweaked (including the Governator himself, Arnold Schwarzenegger, who joins with Bruce Willis for a quick cameo), people get beaten up and blown away in increasingly more amusing ways, and 110 minutes later, you walk away with a big smile on your face. 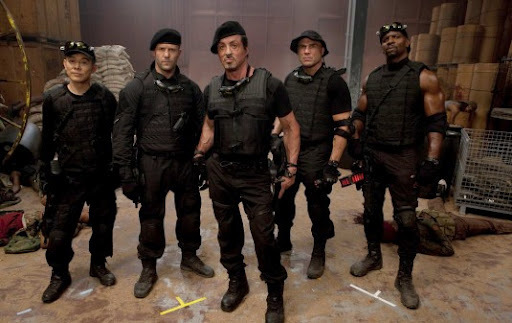 Dismiss it as a big, loud summer action film if you will, but don’t deny that The Expendables is one of the more enjoyable movies of the season so far. I’m giving it a B+.